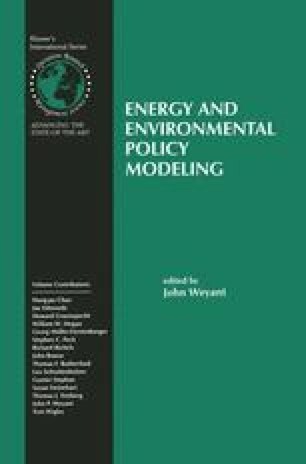 Within the framework of a small scale numerical model this paper carries out a simple thought experiment There are two perspectives: one, in which investment-saving decisions are made by an immortal agent acting as trustee on the behalf of both present and future generations; and one in which generations simply save during working years and dissave during retirement, but where carbon rights are traded internationally on competitive markets. Despite these polar views on intergenerational altruism virtually the same results can be observed with respect to sustainability as well as the variables directly relevant to the greenhouse problem. An earlier version of this paper was presented at an interdisciplinary on sustainability at the University of Berne. Helpful comments provided by the participants are gratefully acknowledged. The authors owe thanks to Alan Manne for his comments, suggestions and stipulating discussion. However the usual disclaimer applies.